The offices of REMAX Realty Professionals are run by one of the most experienced brokers in Greenville, SC - Milton Shockley. Milton Shockley is very involved in the Greenville Community. The knowledge of our broker is exceptional and he is always available for questions and guidance. Milton Shockley has extensive experience in business by running several businesses, as well as being involved in past and present developments. He is the sole owner of RE/MAX Realty Professionals, the oldest RE/MAX franchise in the Upstate. He provides wonderful support for the Cunningham Team. Greenville based REMAX Realty Professionals, LLC announces the acquisition of REMAX Advantage Team. Combining over 75 years of real estate experience with its Management Team of Milton Shockley, Broker/Owner; Len Fletcher, Broker-in-Charge; and Diane Wilson, Broker Associate / Sales Manager, REMAX Realty Professionals, REMAX Realty Professionals, LLC provides residential, commercial, property management, and auction real estate services. 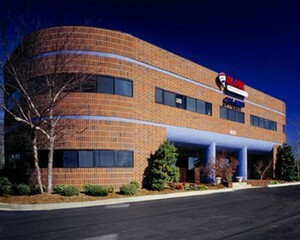 The original REMAX franchise office in the South Carolina Upstate in 1985, the office now includes over 50 agents with three Teams ranked in the top 25 and three agents ranked in the top 30 within South Carolina REMAX offices statewide. Visit http://Remax.com for more information on REMAX and REMAX realtors!